YOU + ME (together) on an immensely sweet 3-week creative (e)dventure. I believe that goals are more delightful – and do-able when paired with a can-do spirit and the power of a weekly prompt. What if you could jump start that back burner goal? Get more stuff done? Or take a left turn and discover something mad fresh … like, right now? 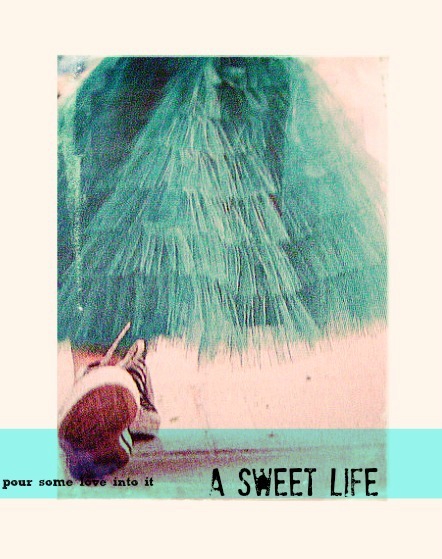 Email me with the subject line ‘A Sweet Life’ and tell me about ONE goal that you’d LOVE to romance in the next 30 days. You’ll PayPal, and we’ll pow wow! For 3 weeks you’ll receive goal vitamins from yours truly, delivered straight to your inbox. You’ll get Monday prompts with top-secret action steps, positivity boosters, creative strategies, nuggets of borrowed wisdom, and straight-up sage advice. Plus, Friday check-ins. I might even break your amazing idea into easy micro-steps or chart a trail map for the next few weeks of your life and career. Sweeter + more soulful than a fortune cookie? Yup! Goal pumping gems? Mm-hmm! If you’re ready & willing to embark on this short + sweet (e)dventure write to me here and let’s pour some love into it.